Sweet Ice is filming a commercial! And we want you to be in it! This is our official casting call: young and old, tall or short, quiet or loud - no experience necessary! 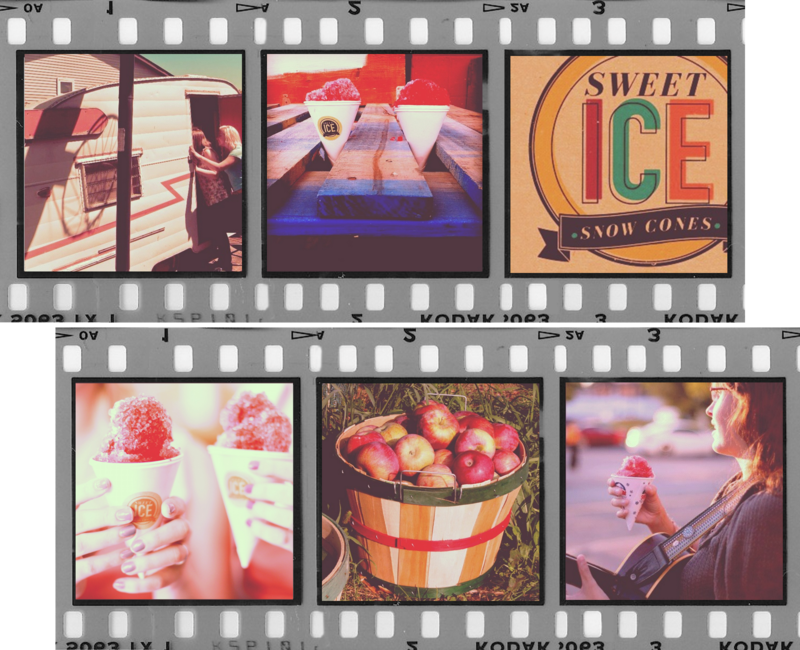 We're going to make a short commercial that is basically just chock-full of happiness and reflects how much we love snow cones, this city, and all the people who make it up. Our ridiculously talented friend Brooks Reynolds is filming it, with a song produced by the wonderful Mr. Jeff Wynands, and starring the always delightful Kori Pop - we're sure the day will be full of laughs and just lots of fun all around. All you need to do is find the right outfit (we'll post some inspiration), show up with a smile, and we'll show you what to do! 1. Meet lots of happy people and make new friends. 2. Get an annoying amazing Sweet Ice jingle stuck in your head. 3. Our vintage trailer - in all it's renovated goodness! 4. Fruit heads. YOU CAN BE A FRUIT.